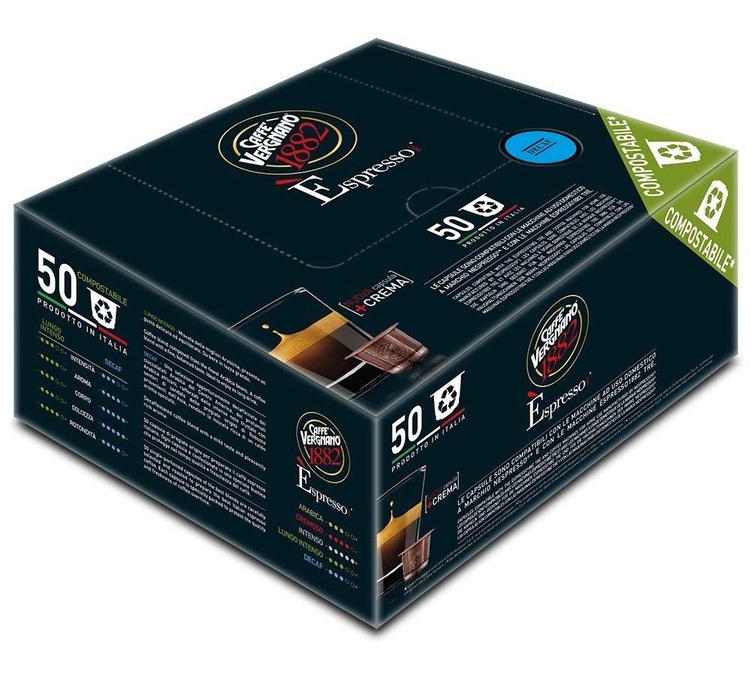 50 biodegradable Espresso Decaf capsules (via solvents) from Caffe Vergnano. This decaffeinated coffee from Central and South America (a blend of Arabica and Robusta) offers fruity and woody notes. The capsules are compatible with Nespresso® systems. Comes in a pack of 50 capsules.